This is an unusual CFC loss report, made for my own purposes: to determine the fate of the highsec GRR. However I post it for you because it has interesting parts. The data is the same that I used for 2015 Jan, 2014 Dec, Nov and Oct loss reports. The kills are de-whored as usual and processed with the usual software. 1962B Total CFC losses in 4 months in highsec. The most important to notice is is that majority of the losses came from RvB, GSF and PBLRD with FA providing good numbers. 4 months are 17 weeks, so a wardec costs 8.5B, so most wars were very profitable. If the Marmite leaders didn't go buttmad, I'd still pay their wars. The reason why I started this evaluation is that Deadly Fingertips activity decreased a lot (chart from EVE-census) and the CO2 and Bastion wars had no kills in 2015! 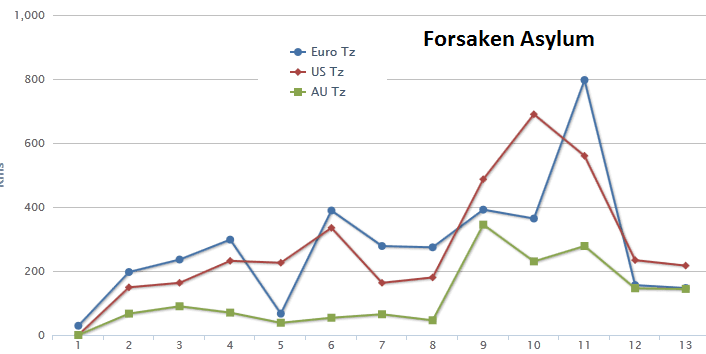 Marmite also suffered from losing their easy CFC kills, while Forsaken Asylum is increasing their activity: So I was thinking about hiring Forsaken Asylum but then I saw this war: they decced GSF from Feb 4 till Feb 11 and got 150M kills for 500M wardec cost. 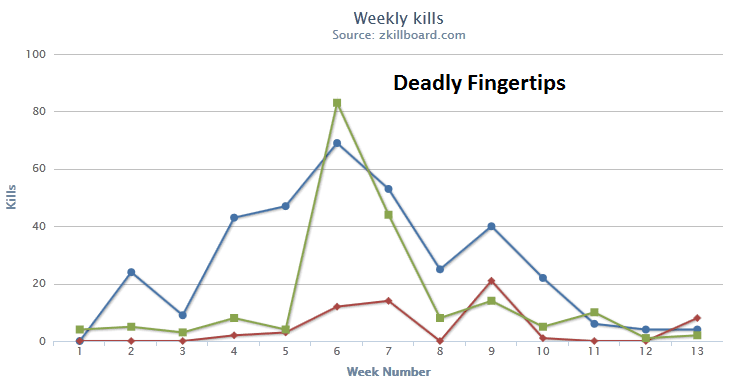 Much worse than what Deadly Fingertips did. I guess I minimize my highsec spending and simply spend more in nullsec. It's funny you consider generating a loss mail a form of income. The only "profit" that comes from a war target is if (a very big if) you manage to loot the wreck, and even then you are potentially getting a small amount of the value of the loss. Why don't you tabulate the value of what dropped on those kills and lets see a more accurate figure of potential profit. Otherwise you are just deluding yourself. I would really love to see this data with RvB removed. 3. Even if you don't agree, It is an inter-war between themselves, not caused, motivated, influenced or even anything to do with your Grrr project. If you removed the 1006 Bil of their losses, how many highsec kills does that drop down too? My guess is most of them will be gone and you are left with a few big kills. Just Jump Freighters account for: 269Bil What are there other kills?! I want to see what ships you are actually supposedly killing. You cannot seriously think or claim the actual CFC are loosing those amounts of Mallers, vexors, Caracals, Thoraxs, Prophecys, myrm's, moa's and ruptures in High Sec??? That is all RvB. You admit and disclose yourself it is mostly RvB but still include the data. Even if you will not concede that RvB is not CFC, I still do not see how you can include that data with a straight face. "This is an unusual CFC loss report, made for my own purposes: to determine the fate of the highsec GRR"
This statement implies that you caused the losses, which again I'm sure you cannot claim that without laughing. My point is I actually want to see your true results, whatever you could possibly have cause to claim some influence in with your payments to different groups. You probably wont print this, but I think it is really because the data shows its not really having that much affect in highsec. Without RvB the numbers drop significantly and even with them gone you can only claim a percentage of the leftover numbers. A lot of those kills would still happen if you were not paying the war costs( I wont hazard a guess on percentage) but gankers or others would still be killing them. You claim the wars were profitable and from your point of view they might even be. But were they profitable to the mercinaries you hire? What was their monthly ISK loss and how much did they manage to loot from the wrecks? After all, you only paid for the war decs, not the cost of the actual fights. From what I've read Marmite decided that that part of the balance was so bad that even their killboards were not worth continuing the war. You are trying to think in terms of common peaceful economic competition / cooperation. Gevlon is thinking in terms of war. He is willing to carry straight losses to inflict losses on GSF, and is only interested in how well his ISK expenditures compare to GSF's ISK losses. As for profit-for-mercs, they should be happy just having their wardec paid (that they were going to pay anyway). That's straight half a bill proft monthly. If a merc loses more ISK than he gains from his activity, then it the merc's problem, not Gevlon's. Why include NPC kills? Most of those losses are purposely lost for suicide ganking. Also, the Talos and Catalyst are heavily utilized in suicide ganking in High Sec, and to some extent the Vexor is as well. These are losses, but considering your post was done to "Determine the fate of Highsec GRR", you'd be giving them too much credit by including purposeful losses from Concord. Maybe you should reconsider paying The Marmite Collective more. It's clear they can deliver what you ask for. Why waste isks on mercenaries who don't kill. @First Anonymous: Just because we don't like the data it's there. RvB shows that CFC is ready to waste 250B/month "for fun". @Mirkali Maricadie: because high NPC kills mean that you could inflict heavy damage by sabotating ganks. @Second Anon: Mordus Angels has higher kill ISK / paid ISK than Marmite, even BEFORE they tried to raise price because of buttmad. Marmites being buttmad about you because you hired Deadly Fingertips may not be stupid after all. The main advantage of Jita camping compared to camping Gonditsa is larger target pool. 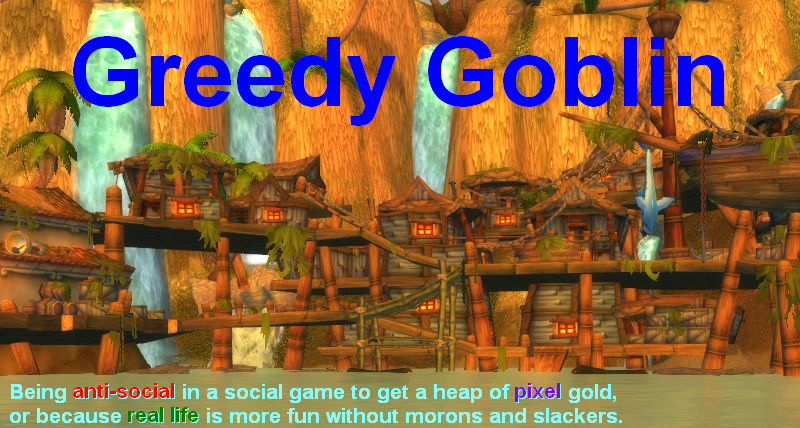 If wardeccers as a group become too scary then more people start using neutral alts and hauling services or avoid high sec completely. A fastly growing wardeccer is a threat to Marmites' long term well being. moa is operating in a more target-rich enviroment. individual members also have better conditions for making isk. What tools do you use to do your analysis? Excel? SQL? Where do you get your data? @Basil: Hanura H'arasch gets the data for me, I have no clue how. You can contact him with data. I analyze it with a self-written program. Deadly's activity drop is easy to explain. Stratagem, with a few friends, absolutely destroyed their ability to do business in Dodixie for two weeks and continue to make them taking out neutral Logi an iffy proposition at best. Over a third of their corp has quit including a good number of their more experienced players. It's only a matter of time before their fail is complete.